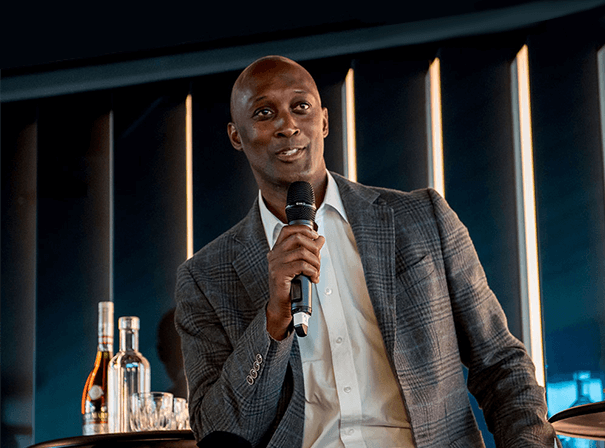 London born Dalton Grant is a Great British Olympian who has competed at three different games and now speaks ably at after dinner events, public functions and sports evenings on a range of topics including the psychology of winning, self motivation and much more. During his high jump career, Grant won Gold medals at the European Championships, Commonwealth Games and in 2008 equalled the world veteran record at Banska Bystrica, Slovakia. His personal best jump of 2.36 metres came during the 1991 World Championships in Tokyo and he also competed at Games in Seoul, Barcelona and Atalanta. Dalton managed to set nine successive national records between 1988 and 1991 and, as such, became the first Briton to be ranked in the world’s top 10 since Alan Paterson in 1950. In more recent times Dalton has worked as an ambassador for the London 2012 Games and, given his amazing life in athletics around the world, is an enthralling guest speaker no matter your audience, from corporate to youth sports and everything in between. Grant was appointed president of the South of England Athletics Association for 2010-2011 and has also set up the Dalton Grant Academy in Trinidad and Tobago at the same time as being a patron of Mossbourne Academy. Dalton Grant now coaches young people who are not only high jump hopefuls but also children from a range of other disciplines including sprinting, football and badminton.